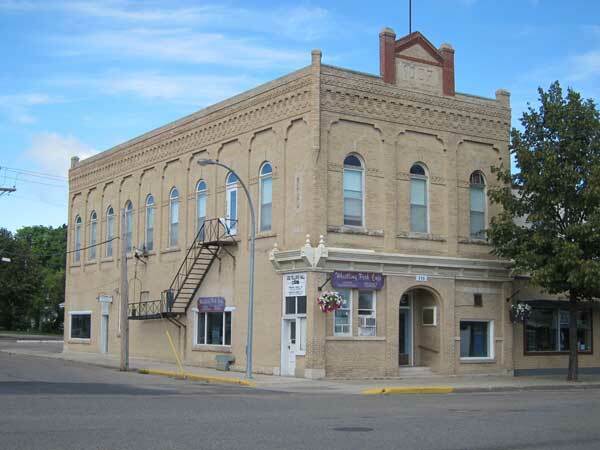 This two-storey brick building in Neepawa, designed by Winnipeg architect Hugh S. Griffith, was constructed in 1903 for the Neepawa Lodge of the Independent Order of Odd Fellows. Now the oldest IOOF building in Manitoba, and a provincially-designated historic site, a commemorative plaque was placed on it in 1996 by the Manitoba Heritage Council. Independent Order of Odd Fellows Building, Neepawa Lodge No. 16, 376 Mountain Avenue, Neepawa, Manitoba Historic Resources Branch.